Kier has been confirmed as the winning bidder for a £27m research laboratory project in Bloomsbury for the London School of Hygiene and Tropical Medicine. As tipped in the Enquirer, the Bloomsbury Research Institute project, strengthens Kier track record as a leading provider of research facilities. Other recent sector project wins include a £160m specialist bioscience laboratory for Public Health England, a 77,000 sq ft laboratory facility for Newcastle City Council and new offices and laboratory at Cambridge Biomedical Campus for Cambridge Medipark. 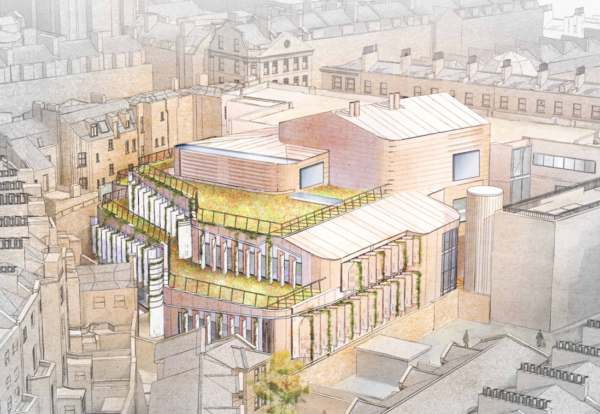 The 4-storey Bloomsbury Research Institute, which includes a basement for the extensive support laboratories, will be shoe-horned into a tight inner London site, confined between the back of a terraced Georgian crescent of town houses and the rear of the London School of Hygiene and Tropical Medicine at 15-17 Tavistock Place. Work is expected to start in winter 2018 with a scheduled completion date of 2020.